Christmas brings cheer.....and an UGLY SWEATER CONTEST!!! 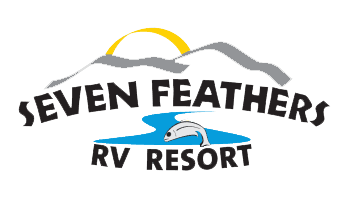 Here at Seven Feathers RV Resort we have a Christmas party every year for all of the employees. It will be full of fun, food, and gifts! Oh yeah...and an ugly sweater contest of course. Let me explain... Every year there is some sort of contest or games to have fun with and give us a reason to keep the party going, so to speak. This year is the "Ugly Sweater Contest"!!! Yes, it is exactly what it sounds like too. Whoever has the ugliest sweater, wins! I'm just waiting intently to see if anyone goes all Lady Ga-Ga on us and wears a sweater made of nothing but meat. Wait a tick...I think I just found my ugly sweater! :)~ Shhhh....Don't tell anyone. So, come this time tomorrow night we will all be full of food and drink, self-conscious in our not-so-favorite sweaters, wondering what $10 gift is lurking inside the wrapping paper and if it's better than the other gifts. Who knows, maybe the person who bought my gift went the extra mile and spent $15 instead of $10. We all know that $10 doesn't buy much these days. A coke and a smile in some cities. No matter what happens, I know that we will all put our differences aside, slap on our best attitude, hop in the mood for giving, and for one night party like it's 1999!